My family moved to the western part of Singapore when I was 3 years old. For as long as I can remember , I have lived here, and will likely continue to for an even longer time. At different points, people have asked me what's there to do here in the west as it seems so far away. The common comments I hear from friends while in school were "you live in tuas ah....the industrial area? " Or... "which kampong is that?". Well, I do agree that many years back, this part of Singapore was a tad boring. However, I must say the west has developed so much over the years that there's just so many places to explore. What's most interesting is, it has retained a lot of it's original charm that brings us closer to nature. 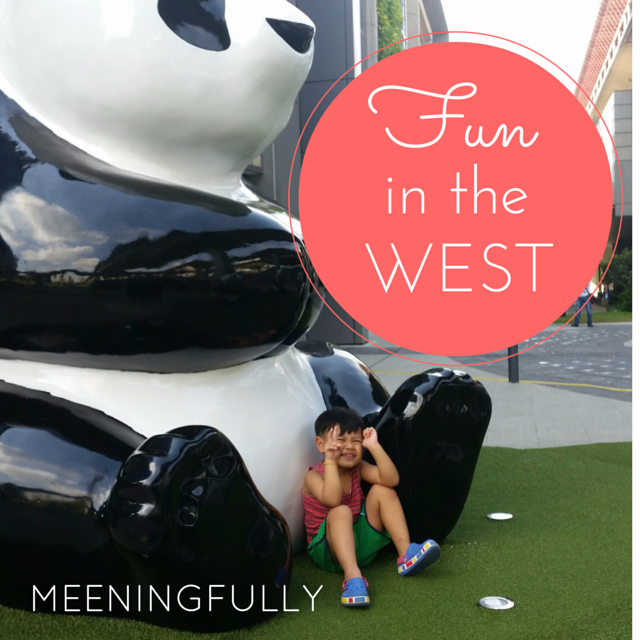 I will be running a two part series on the blog (with the help of many other mummy blogger friends) where I will introduce to all of you as many fun places as I can in the western part of Singapore. West Coast Park, as its name suggest is our version of East Coast Park. Perhaps the only difference is that it doesn't have a beach front, but it is compensated by the many play areas catered for kids of different ages. There is also no lack of sand despite not having a proper beach and when we say "sand play", J will instantly think of West Coast Park. Personally, I love the lush greenery here, and the vast empty space that allows for us to either fly a kite, lay on our picnic mats, look into the clear blue sky while the kiddo exhuasts his energy simply by running free. "...I am absolutely IMPRESSED and slightly green with envy. " 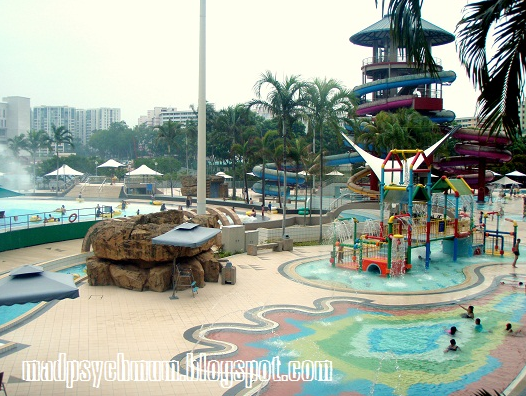 - Irene of SingaporeMomBlogs when she brought her kids to West Coast Park for the first time. Read their experience here. "... (the park) presents many opportunities to teach our young about perseverance, creativity, resilience and of course healthy living." - Angeline of Life's Tiny Miracles on what she loves about the park. Read her review here. 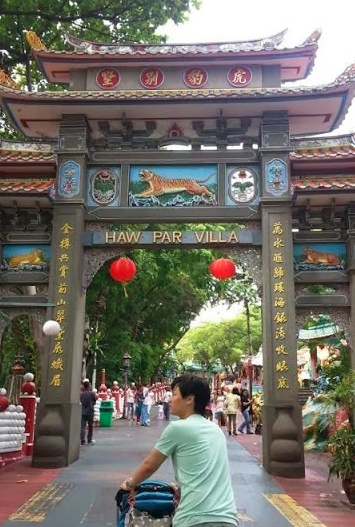 Haw Par Villa is one of the earliest theme parks in Singapore with a twist! Most 70s and 80s kids will remember visiting the 18 levels of hell and taking a water boat ride into the huge dragon's mouth. Today, Haw Par Villa still retains it's orginal charm, and is a good place to introduce the kids to traditional chinese folklore. If all else fails, all the uphill climb is great for exhuasting your kid's excess energy! Here's how we enjoyed our visit there. After spending time at West Coast Park and Haw Par Villa, you can move southwards along west coast highway for a sumptuous Korean BBQ meal at Ju Shin Jung. What's makes this restaurant so special is they have a huge play area that promises to keep the little ones occupied while the adults enjoy their meal. If Bumble Bee Mum is willing to travel from the north to the west just to visit Ju Shin Jung again, it must really be quite fun! Read here review here. Indoor Trampoline parks are all the hype now, and we have the LARGEST one in the west too! 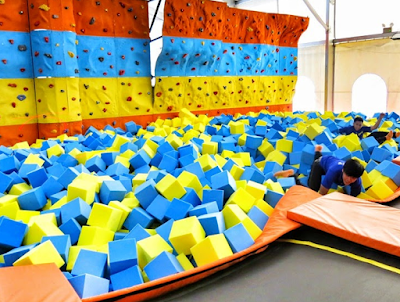 Other than give people all the jumping fun on the trampolines, Zoom Park also packs in other activities for visitors to enjoy such as dodgeball and slam dunk. 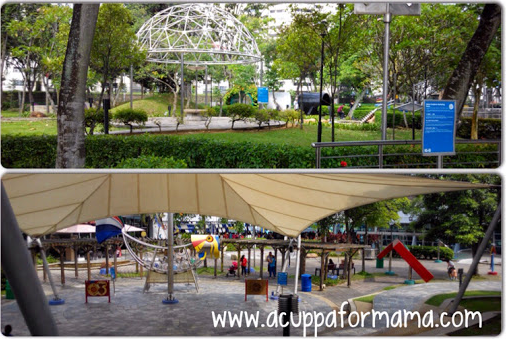 It is also a perfect location for kiddie parties! "Love this twist to the conventional dodgeball game – Jump and hop on trampolines to escape the balls or throw a fast one at your opponents! " - Mummy K of J Babies in the Daisies. Read her family's experience here. For mall loving folks, Clementi Mall has something within the mall to entertain the kiddos too. While not anything huge, the playground on level 5 is definitely enough to put a smile on the kids' faces. 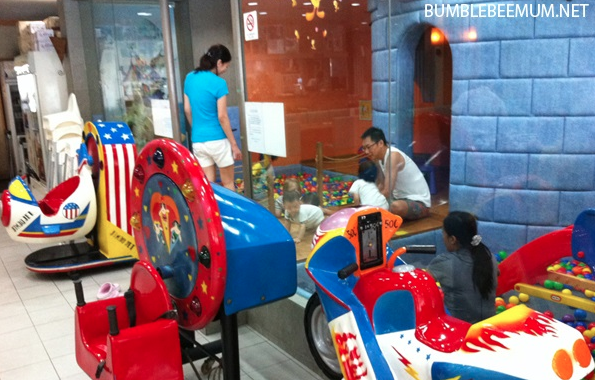 In fact, there is another playground within the mall, and that's on level 4 in the FoodFare food court. Let Bumble Bee Mum introduce these playgrounds to you here. The Science Centre and Omni Theatre holds a very special place in my heart. I spent a fair amount of time during my Primary School days here as my mum used to work there as a ticketing officer. I recalled the times after school where I camped out at the ticketing booth while waiting for my mum to finish work. This is definitely a place not to be missed if you are looking for some family fun. In fact, it will probably take more than a day to finish exploring this area. The Kinetic Garden covers a lot of different structures which demonstrates applications of various scientific principles. There's over 15 exhibitions within the centre, and often having periodic visiting exhibitions that aims to deliver one or more science principles. 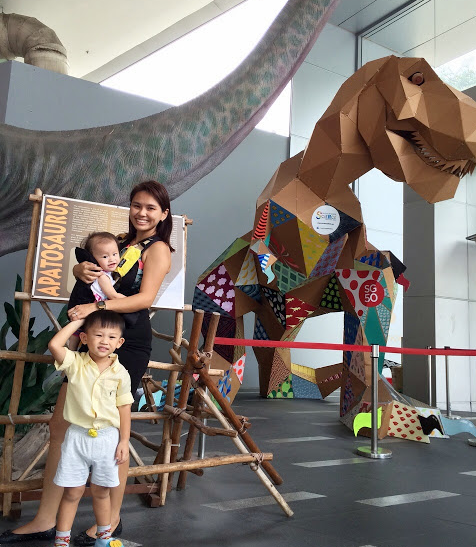 For example in the picture above, Mummy Tan and her kiddies were at the Science Centre when there was an ongoing dinosaur exhibition. More information on the Science Centre can be found here. J enjoyed the mini excavator at the " Built Environment" section. Moving toward to the "Omni Theatre" which is the other building of the Science Centre, you will find KidsSTOP. KidsSTOP is a edutainment centre that's catered to introduce science in a fun way to pre-schoolers up to lower primary students. With various thematic zones, the exhibits also promotes parent-child bonding over the various hands on activities. Since it opened its doors, we have been there over 4 times, one of which was with J's preschool. "...I liked that it catered really well for small children. The place is huge... it didn't at any one time felt like it is overwhelming packed with kids...We didn't have to wait for long for any of the stations that required taking turns, it was a huge plus point considering how impatient small kids can be." Here's a very detailed review of KidsSTOP from Mummy C of CherieLadie. 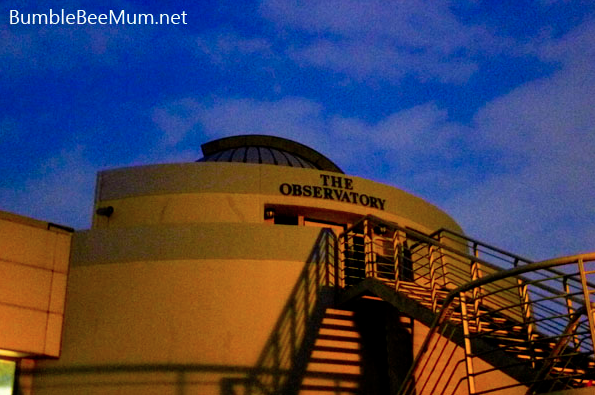 If you enjoy a different kind of fun and want to gaze at the stars, then you should take a trip to the observatory which is at the same building as KidsSTOP. The Rink is the only olympic sized skating rink in Singapore. Here, you can either skate for leisure, or even take some lessons. They have lessons for toddlers from 3 years old. Should be really great fun. More info here. JEM and Westgate Shopping Malls. 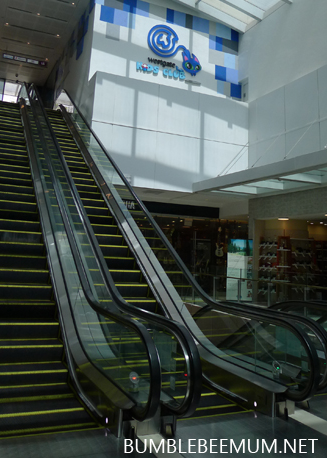 Across the road from Jcube, and you will find yourselves at the 2 megamalls of JEM and Westgate. Oh boy! These two are wonderlands for the young ones I tell you, which also means they make for great family outtings. This is JEM's rooftop playground, which to be honest, is a well hidden gem in JEM. I have been to JEM so many times and it is only when I read about this on Bumble Bee Mum's blog that I realised this exists. 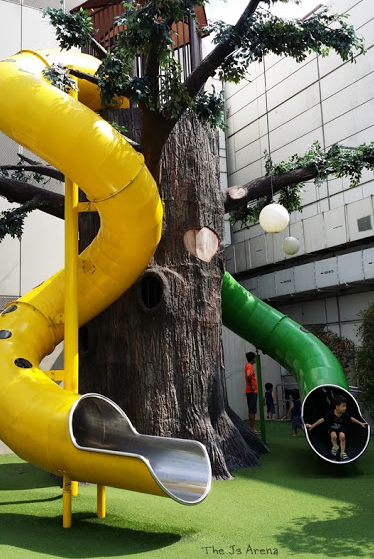 JEM Play is located outside of the food court on level 5, and the best part about JEM Play is that it is sheltered. Best for a rainy or super hot outing. 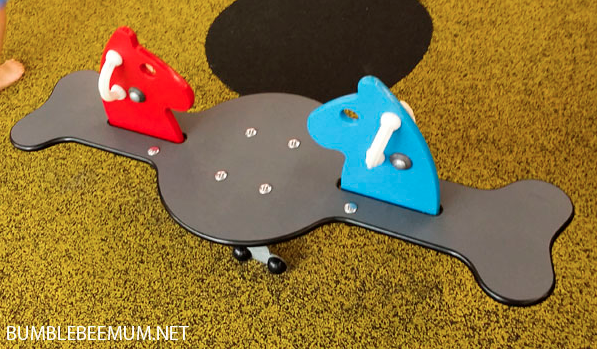 Read on to find out why Bumble Bee Mum loves this playground. 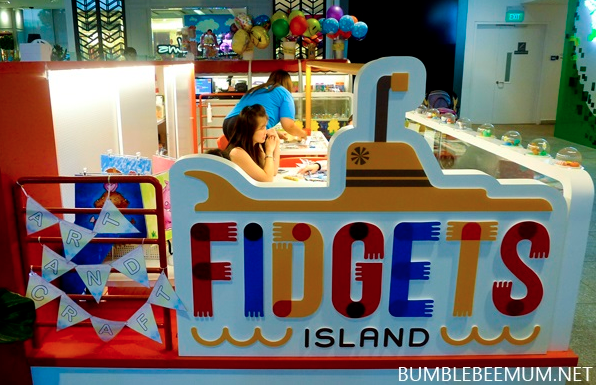 If you are looking something that involves less running and jumping around, then why not pop into Fidgets Island, Yes, this is the "sister" to the huge Fidgets indoor playground at the Grandstand. Fidgets Island hosts crafting sessions for kids aged 4 and above, and you can find out more here or you can take a look at the activities Bumble Bee Mum's family got involved in. A playground set in a mega garden theme with oversized flowers, mushrooms and a really tall treehouse. "Jump, jump, jump...splash, splash, splash". Here's Mad Psych Mum's take on Westgate Wonderland! Another lesser known part of Westgate is the Westgate Kids' Club . If you wish to shop in peace, you can always drop the kiddos here. A minimum spend is needed before you can "deposit" your kids here and details can be found on Westgate's website. What's interesting is there's so much to do here, both indoor and outdoor, you don't have to worry the kids will get bored. Their outdoor area seems to follow the same theme as Westgate Wonderland, but a toned down version. 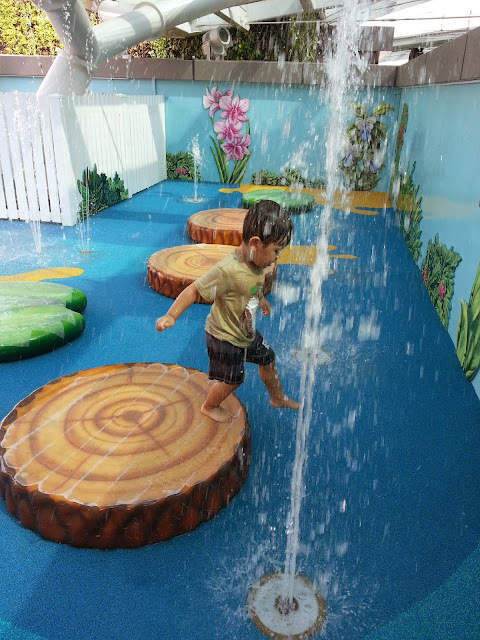 "...There are toilets within the Kids Club as well as diaper changing facility and hot water dispenser, so you pretty much have everything you need to just bum there with the kids for 2 hours. If you want, you can even buy a coffee and bring it there to drink." Here's Bumble Bee Mum's take on Westgate Kids Club. 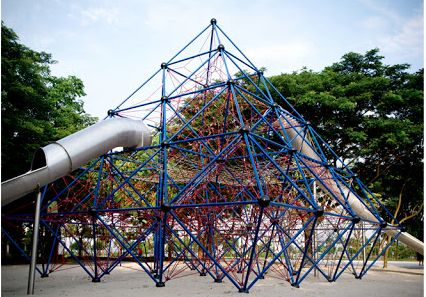 Over a large area, with both wet and dry play areas, the highlight of this playground must be the Treehouse slides. J has never taken these slides, but he definitely has enjoyed himself at both the playground for younger kids and the water area. 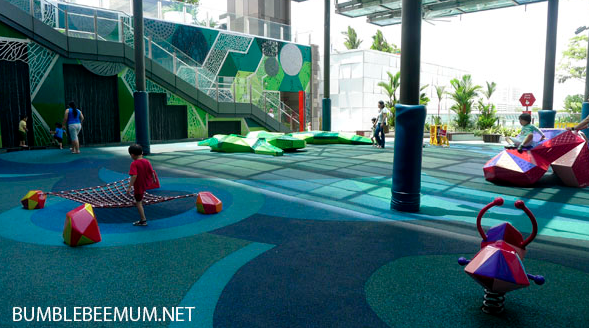 "The IMM playground is really suitable for children of all ages. Children can play and learn at the same time. The Garden Plaza has a big open area where kids can run around." says Mummy J of The J's Arena. Read about how much her boys enjoyed their time at the playground here. A place that brings back a lot of memories for me. The Jurong East Regional Library has been around for about 30 years now. I vaguely recall the weekends and school holidays when I made this my "playground". It has certainly changed a lot over the years and one that I am rather thankful for is the addition of the Early Literacy Library. 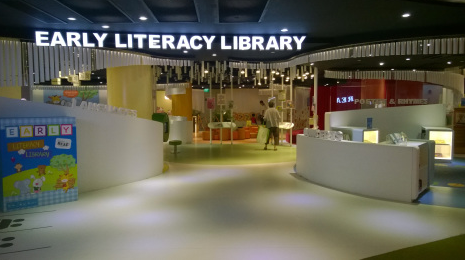 The library has dedicated an entire floor for those under 6 years old. 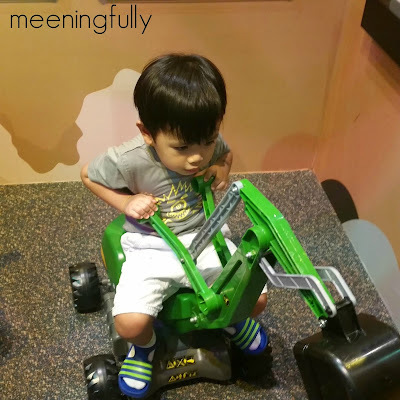 "This is the only library I can comfortably bring B along and have him quietly and contentedly stay in one area browsing through books, puzzles, toys, et al while I chill and browse.." as mentioned by Mummy M of Finally Mama. Read about her experience here. Another place in the west that holds a lot of my memories. If I am not wrong, this is one of the first, and biggest swimming complexes in its haydays. And, the part of the complex which I love is the wave pool! "..And although baby girl was dead tired, she left extremely happy and satisfied." Read about MadPsychMum's experience here. Oh boy! This is sure a long post and I am pretty sure there's still a lot of places I did not cover in the West Coast , Clementi and Jurong East areas. If I missed out any place, do leave a comment and I will add them here with credits back to you. Stay tuned for part 2 of the "Fun in the West" series where I will (together with other mummy bloggers) bring you to Jurong West and the North West of our sunny island. 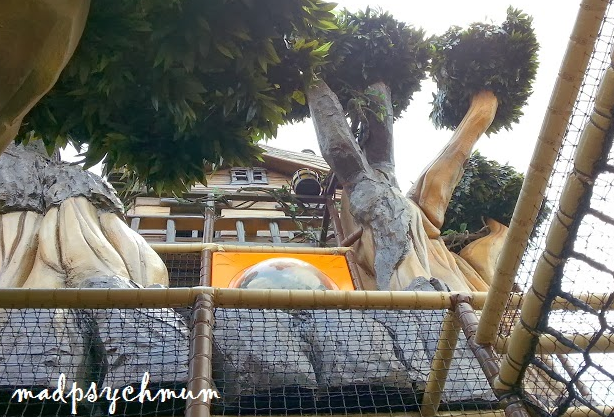 Acknowledgements: A big thank you to all the mummy bloggers from SMB for contributing to this post especially Bumble Bee Mum who has covered so many fun places all over the island!